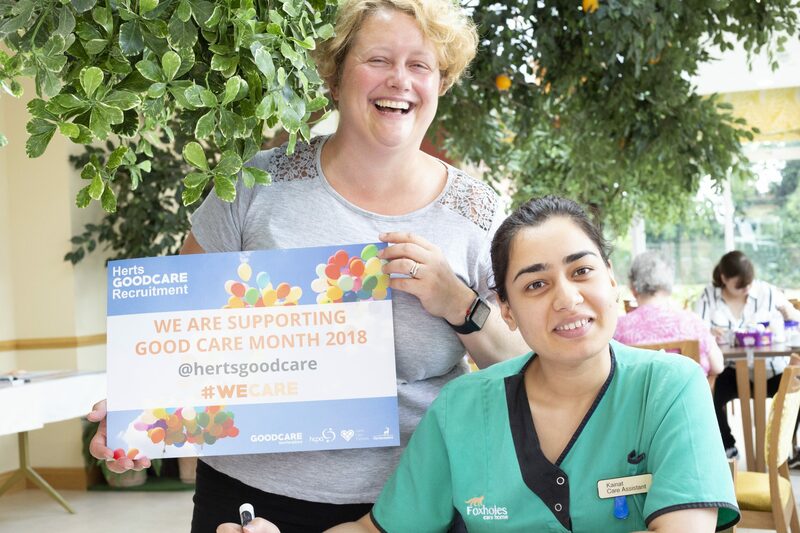 What is the Good Care Campaign? 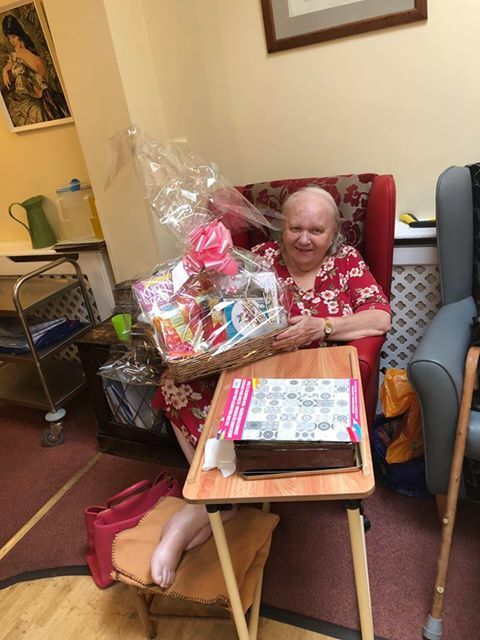 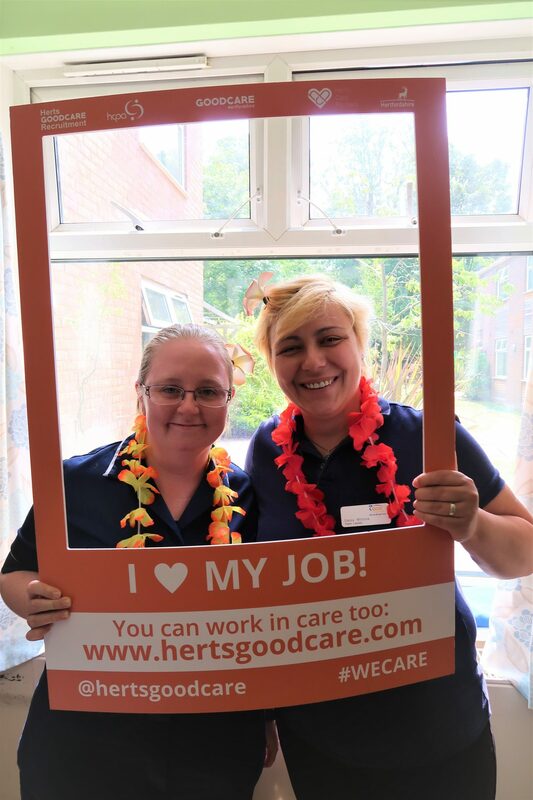 With both an ageing population and individuals of all ages with more complex needs that require additional social care support, there is an increasing requirement to recruit and retain staff in the adult social care sector. 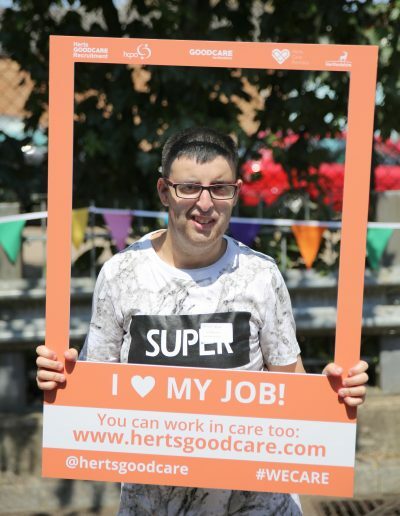 In Hertfordshire alone, we currently need to recruit around 4,000 paid carers each year. 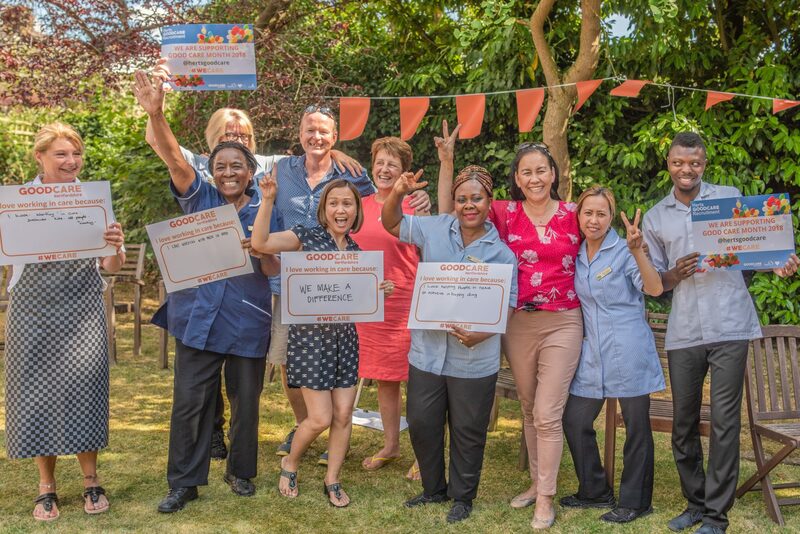 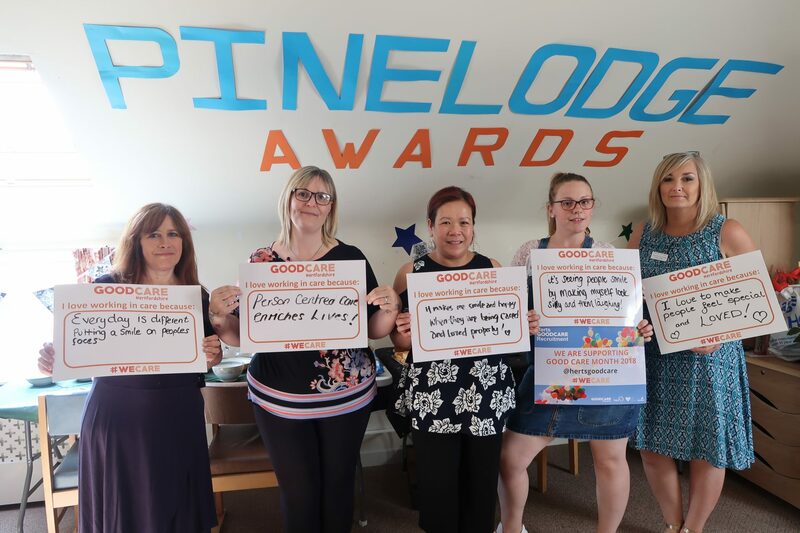 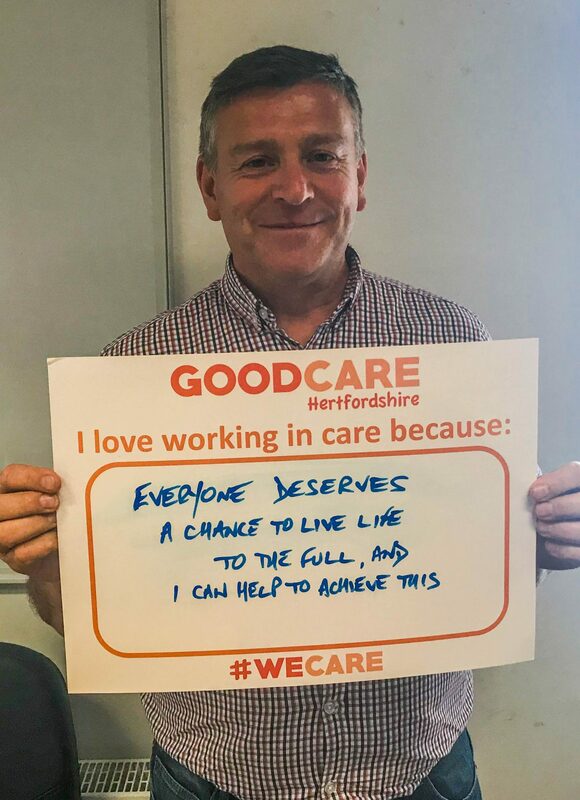 The Good Care Campaign is about celebrating the great work you and your staff do each and every day and sharing it via the campaign. 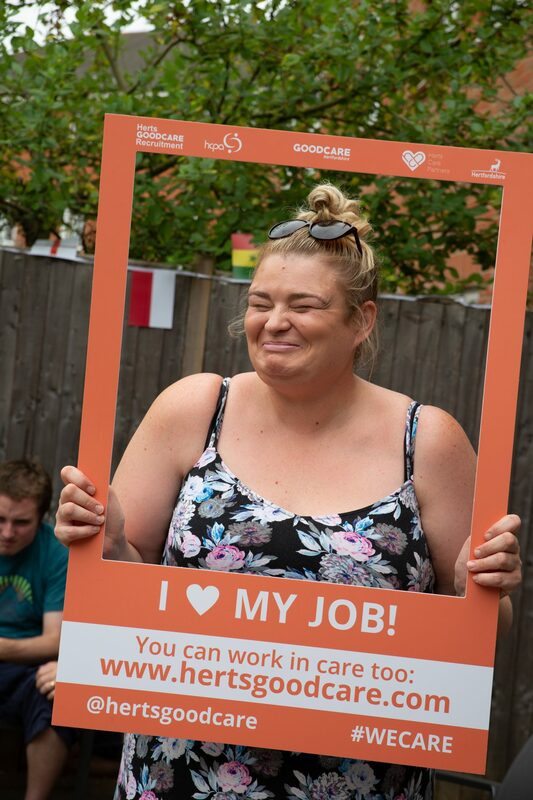 It is your chance to engage and inspire the public to consider social care as a great career choice, and recruit more people to work for you. 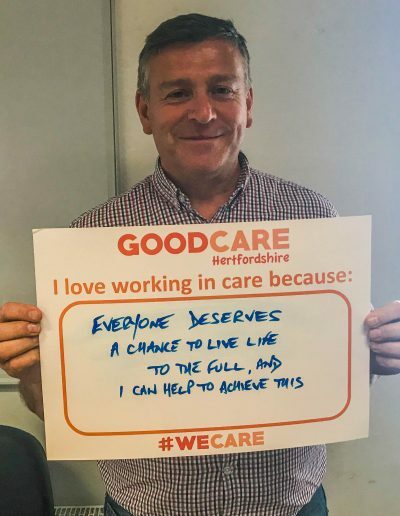 We are campaigning to raise the profile of the social care sector and to promote the great career opportunities and progression available to those who choose a career in social care. 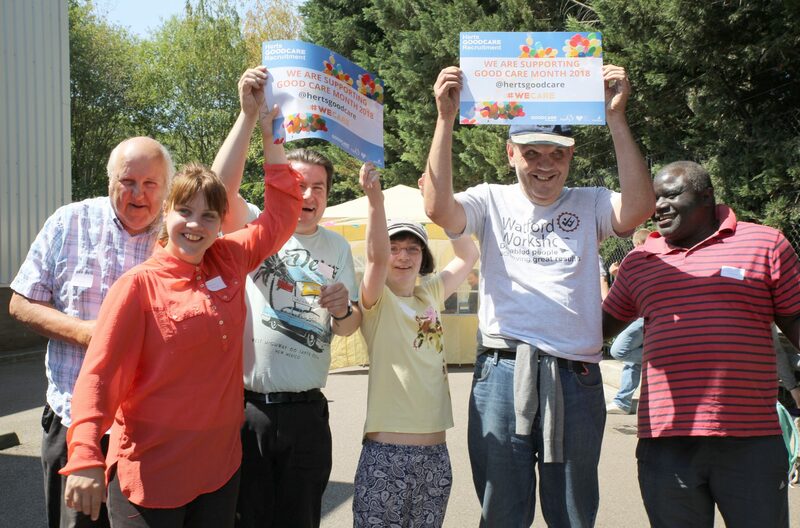 Gather staff, friends, family and service users to celebrate the excellent care and support you provide. 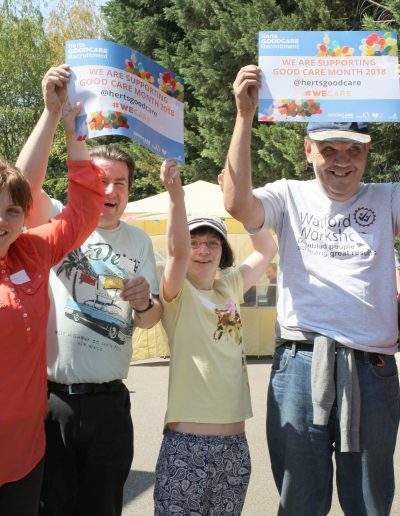 You may have events or activities happening which would be a great opportunity to share what you do. 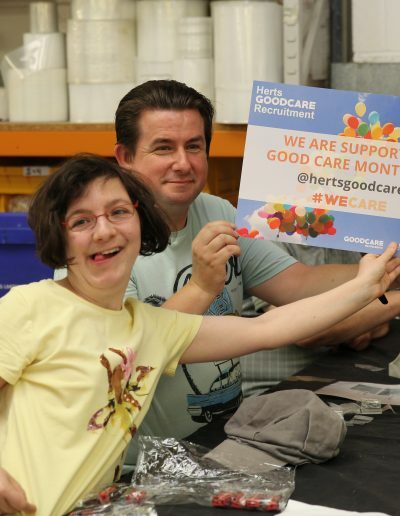 You can see the Good Care Event gallery below for inspiration. 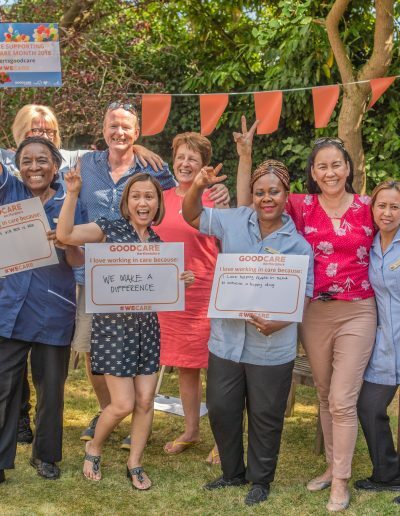 Register your Good Care Event here! 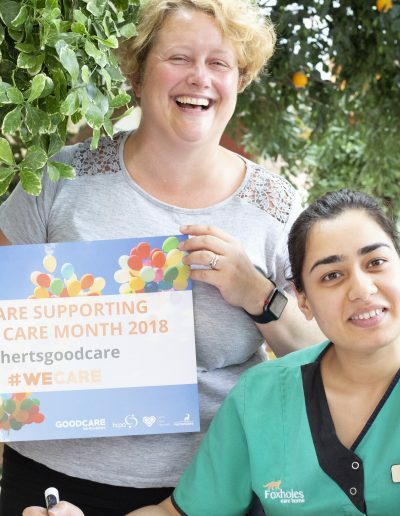 This is your chance to showcase the excellent care that you and your teams provide across the county all year round. 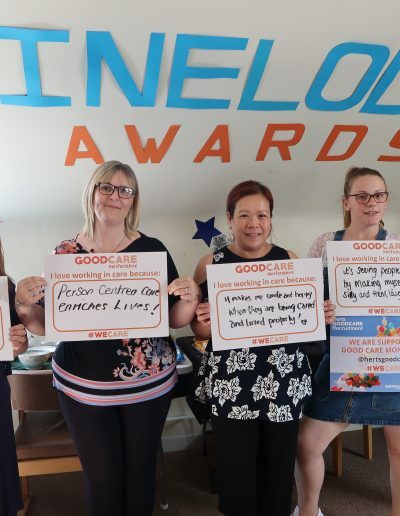 Did you know that for one piece of negative press it takes at least five positive news stories to change someone’s mind? 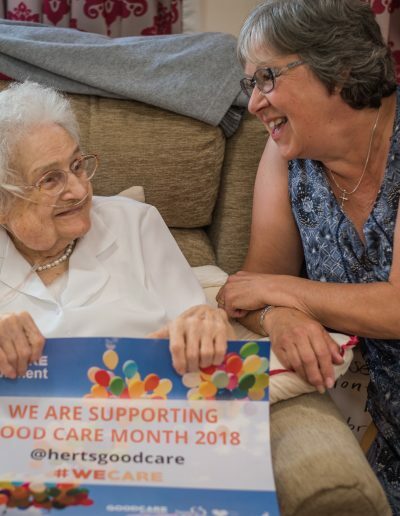 In social care we need to share your care to change people’s minds about the sector. 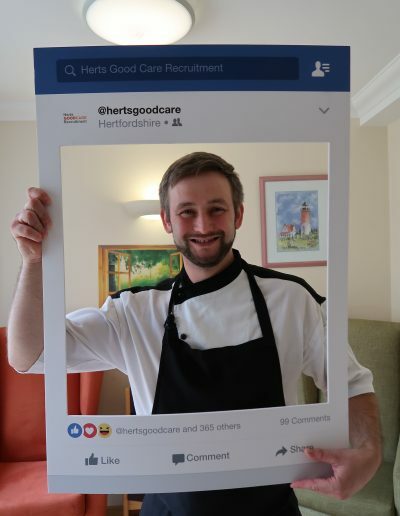 Find out how to get the best social media engagement below. 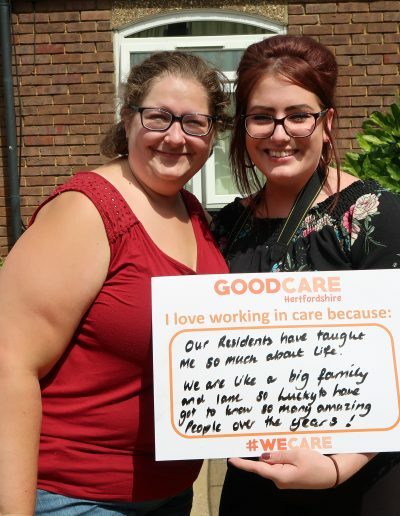 We are proud of our social care workforce and the quality care that is carried out every day. 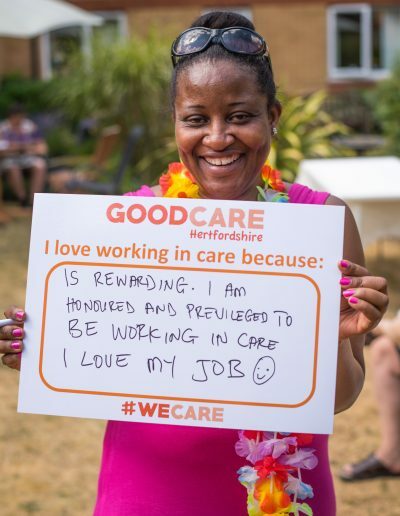 This is a chance to reach out to people who might never have considered working in care before or haven’t taken the next step into a role in care. Share your staff stories about why they chose a rewarding career in care. 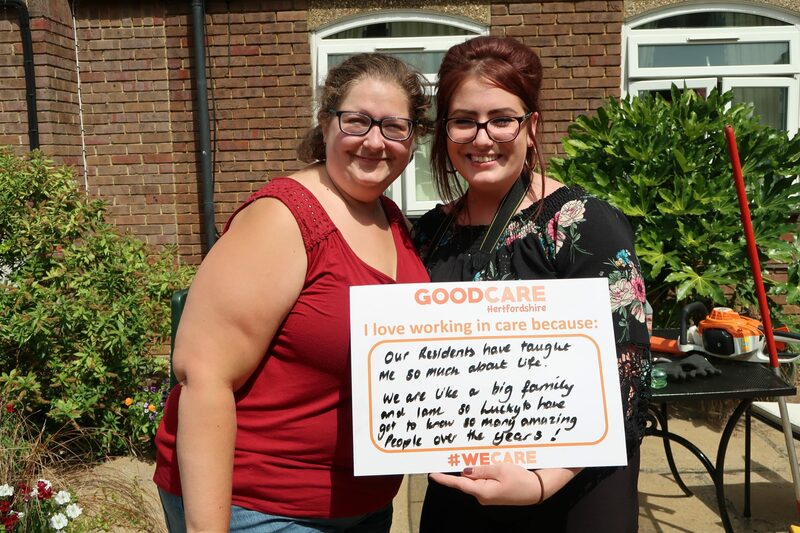 Find out how and why we love working in care below! 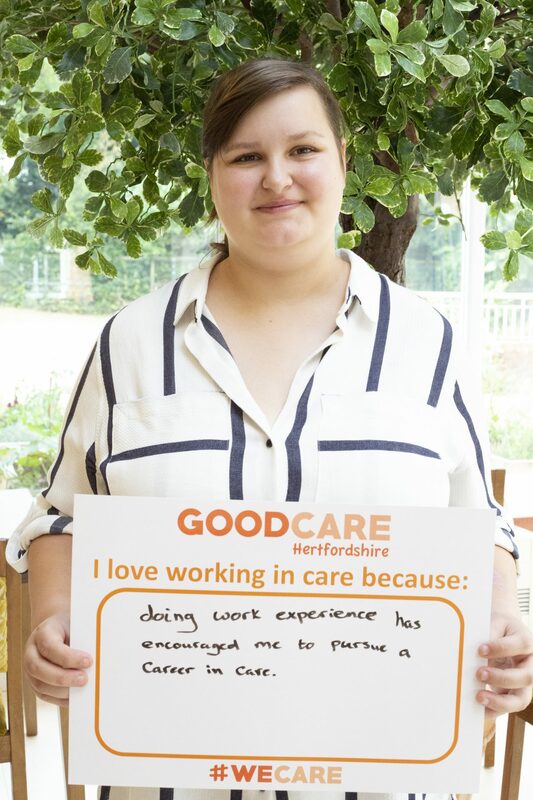 Getting involved in the Good Care campaign shows potential candidates what it is like to work for you. 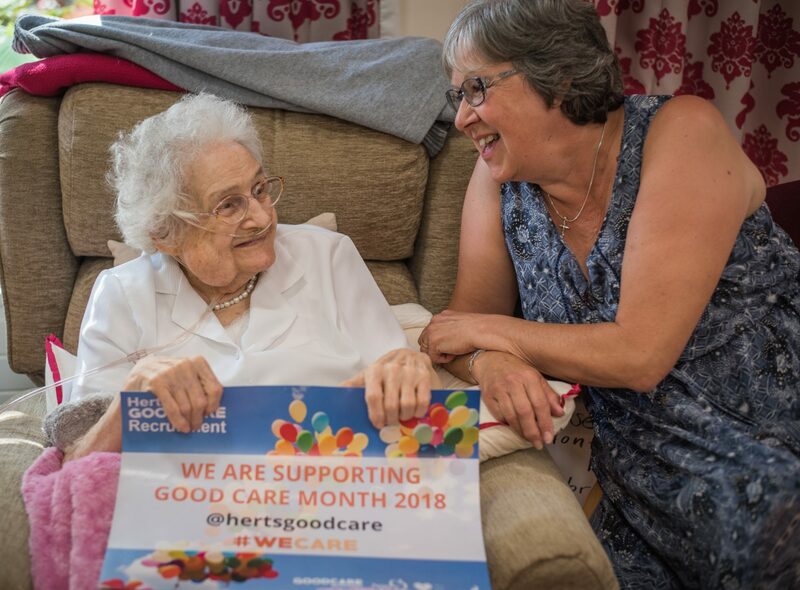 See the results of the last Good Care Month in the downloadable content below to show how many more people we were able to engage with and recruit via HCPA’s FREE recruitment service. 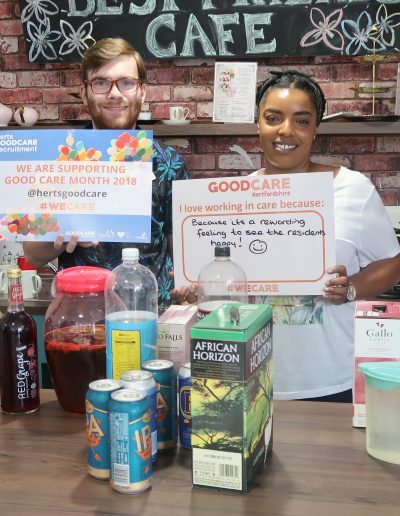 Invite HCPA along and we will share it on your behalf. 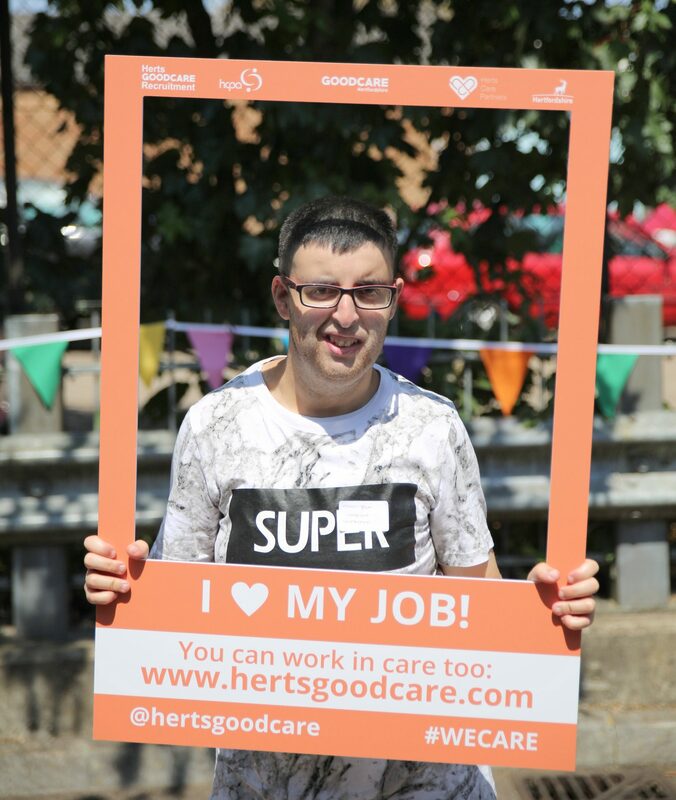 Click here to nominate staff members to be a part of our case studies into career opportunities in adult social care. 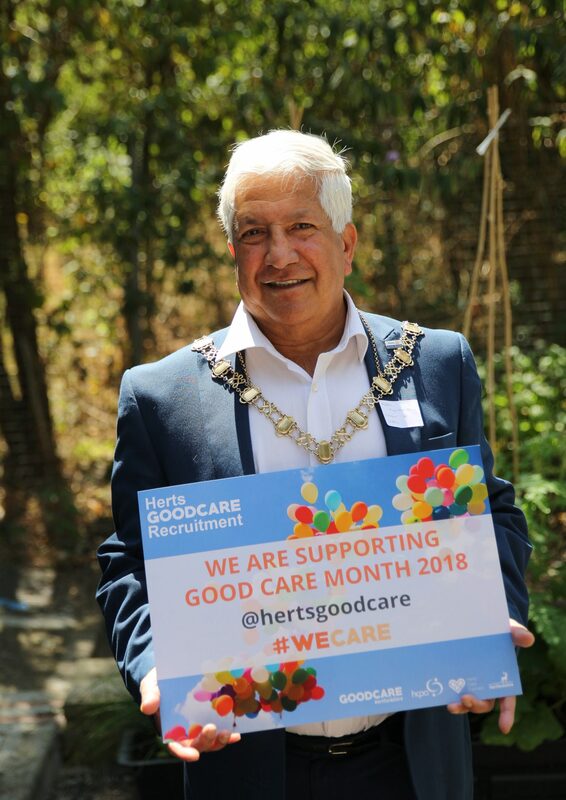 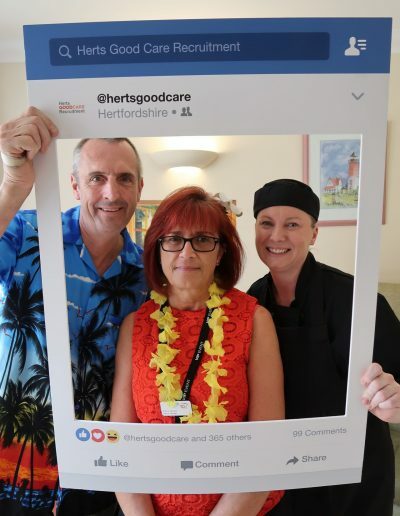 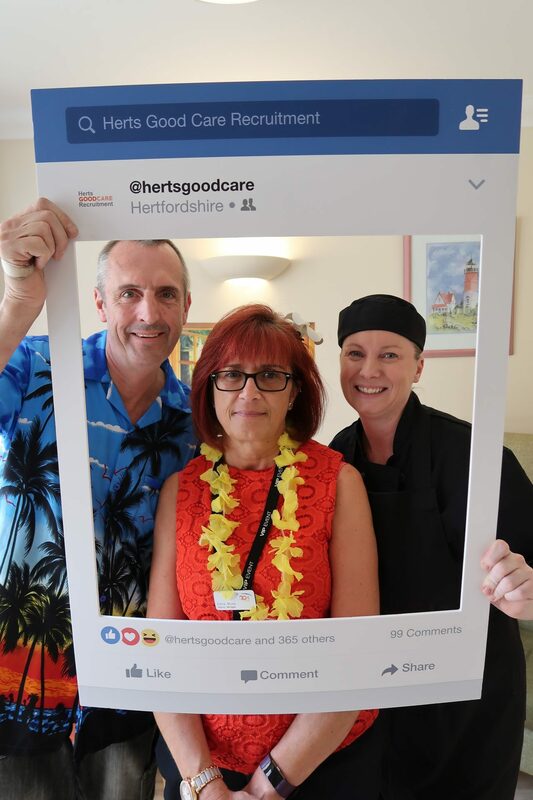 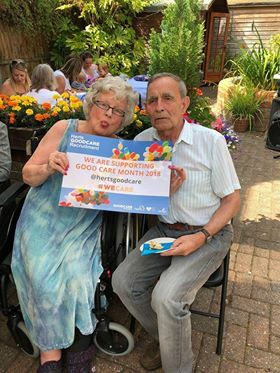 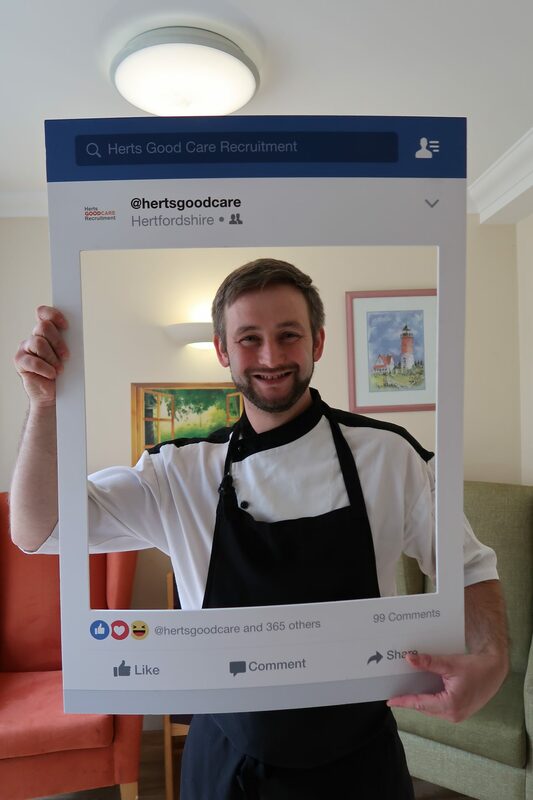 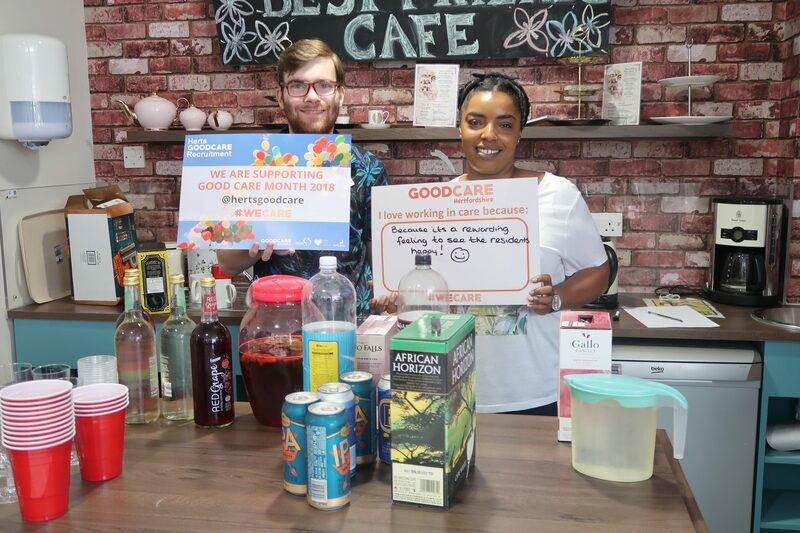 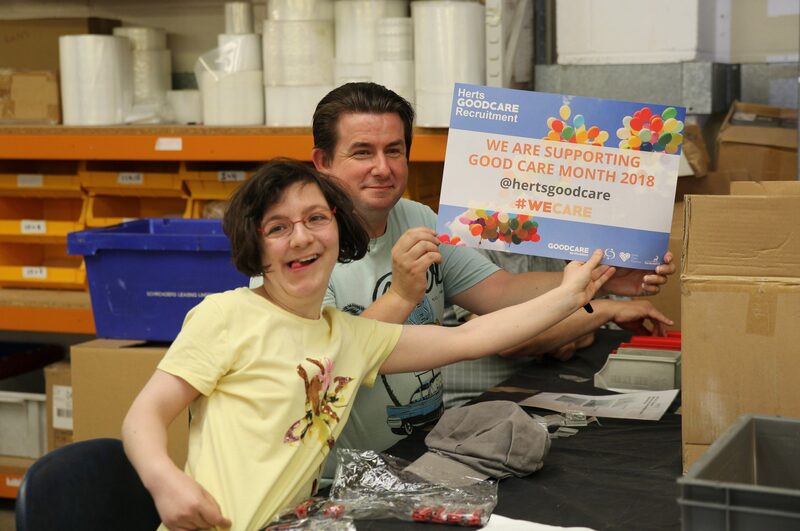 Use the hashtags #WeCare and #HertsGoodCare when you post on social media. 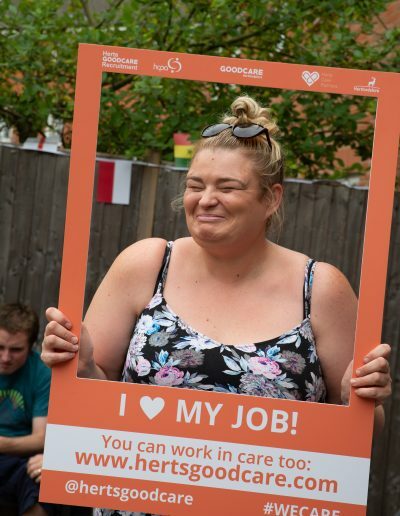 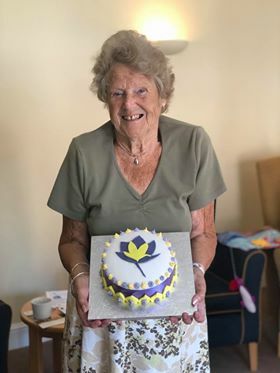 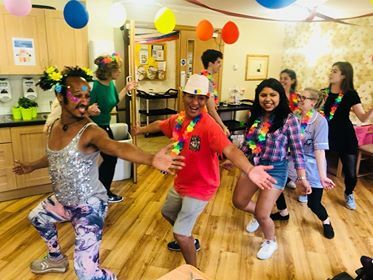 Click here to find out why these individuals chose a career in care, read details about their job roles, and what they love about working in the adult care sector.